Worried about the default configuration of Leopard OSX 10.5? Take a read through Apple's own security configuration guide. This guide covers the installation to advanced configuration options including turning off hardware support for USB, Bluetooth, Video, Wireless, etc for the most paranoid out there. 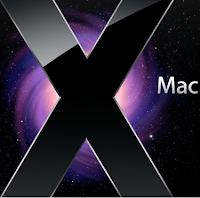 Mac users can also look forward to getting more advanced security features as part of the 10.6 release of OSX-Snow Leopard you'll be glad to know that rumors point to modern security features like enhanced ASLR with 64bit memory space, and full NX support.